Leave your name and email address and we will send you information on this meeting when further details are available. 05 - 06 October 2019 in the United States. 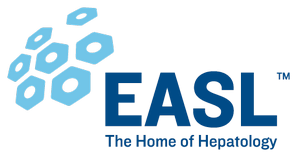 I confirm that by subscribing to this list, I am granting EASL the permission to contact me exclusively with information about this event. Please tick the checkbox below to consent. You can change your personal info or unsubscribe at any time by clicking the "Update your preferences" or unsubscribe links in the footer of any email you receive from us, or by contacting us at GDPR@easloffice.eu.